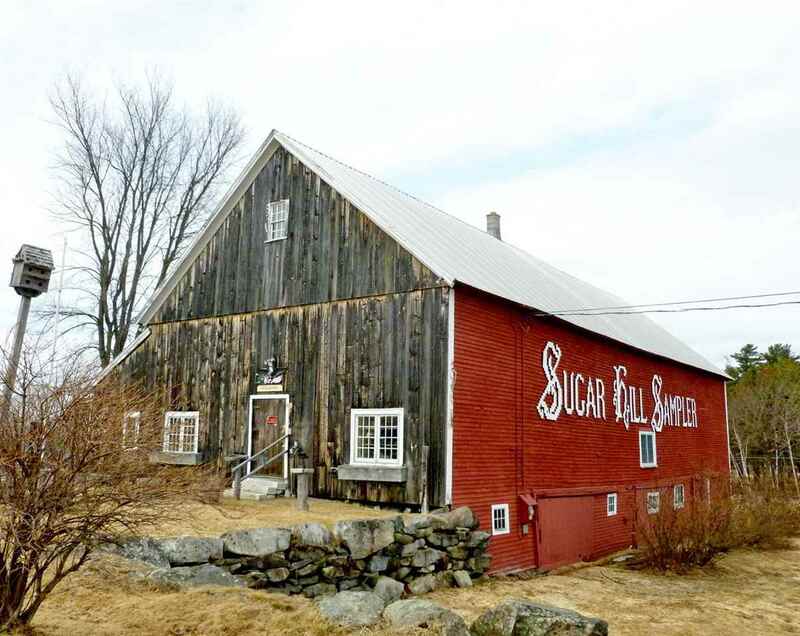 High atop the quaint village of Sugar Hill sits an iconic, red barn known to all as the Sugar Hill Sampler. Generations have shopped in this antique barn when visiting the White Mts. Once there, you are treated to one of the best mountain views imaginable. Look out to both Mt Washington and the Presidential Range PLUS Franconia Notch (Cannon Mt.) from this open 5.35 +- acres. On a scale of 1 to 10, this view ranks an 11! Open fields remind you of days gone by and hints of Sugar Hills&apos; agrarian past. Constructed by a founding family, this 49&apos; x 90&apos; post and beam barn and land have been in the same family for multiple generations. Main level houses the &apos;shop&apos;, office and family museum; lower level is partially finished and contains more historic memorabilia. Loft area is essentially untouched. Ample road frontage on both Sunset Hill Road (over 400 feet) and the privately maintained Training Field Road (an additional 500 +- feet). As an added bonus, the adjacent land is in a Conservation Trust. So many options. Come and explore the possibilities first hand.